James Pierce is a shepherd. Each day he rises while the morning is still dark and cold, and he saddles up to tend to his flock. He has a little farther to ride than most, but somewhere between his home in White Plains, Maryland and the rolling hills of Martinsburg, West Virginia, the sun will rise behind him and light the rest of his 100-mile journey. A few miles to his right, the dome of the Capitol building is lit up as he makes his way around the District of Columbia, but he’s not concerned with the hallowed halls of the powerful. He rides on. With the city behind him, Mr. Pierce rides past fields where the Civil War fallen still lie. Bull Run. Harper’s Ferry. He thinks of soldiers as he rides. He prays. He gives thanks. James Pierce is a chaplain at the Martinsburg Veterans Affairs (VA) Medical Center. His horse is a 2006 Honda Goldwing motorcycle, and soldiers are his flock. As a kid growing up in San Diego, he was always afraid of the ocean. “I never felt comfortable in water I couldn’t stand in,” Chaplain Pierce admits with a chuckle. Naturally, the guy who avoided water his whole life ended up as a Navy chaplain, but only after twelve years in the Air Force and a few years earning a Master’s of Divinity from Southern Methodist University. So why become a Navy Chaplain? “When a vessel pulls away from the pier, you have a captive audience,” Chaplain Pierce explains. Captive indeed. For three and a half years, he served two submarine squadrons out of Norfolk, VA. On months-long cruises, he honed the art of pastoral care. There was no space; he literally met people where they were. “We used to just lean up against the walls and talk,” he says. That’s heavy work, though not all days are so serious. One day, after being called to the emotionally charged room of a young man who’d been injured while riding his motorcycle, Chaplain Pierce fainted when the patient unexpectedly revealed his wounds. “I’m a motorcyclist, and it was just too close to home,” Chaplain Pierce admitted, winsomely. As it turns out, the Chaplain’s temporary loss of consciousness was just what the young soldier needed. Once Chaplain Pierce came to, the two men shared a much-needed laugh over the whole incident and a friendship was forged. 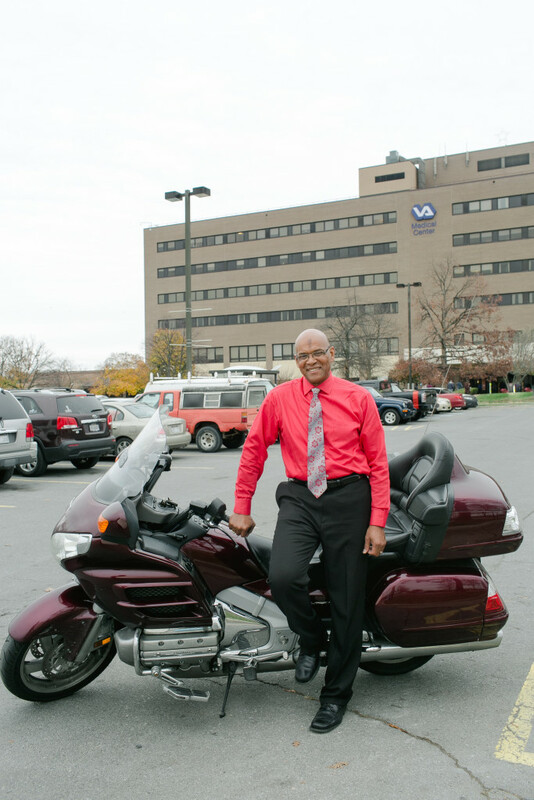 For a man who cites John Wesley’s dictum “The world is my parish,” it is not surprising that for Chaplain Pierce, opportunities to be of service arise outside the walls of the VA hospital as well. At a recent Military Appreciation event held at the Chick-fil-A restaurant in Waldorf, MD, Chaplain Pierce was there to thank the men and women who had served their country, to share laughter and a few hugs. 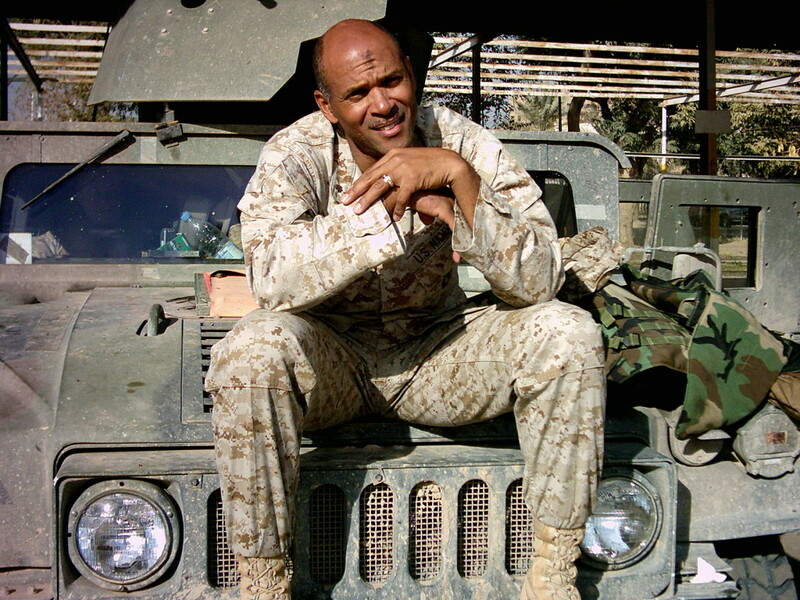 Serving these Veterans is his calling, his passion. 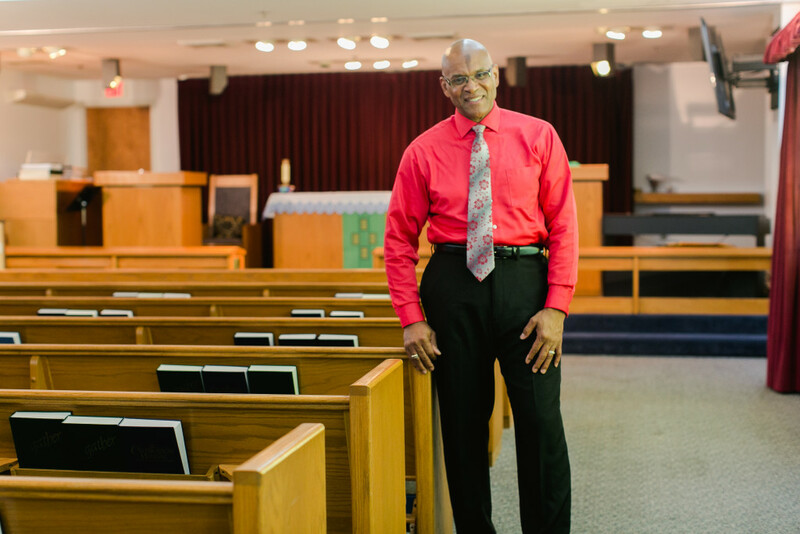 Occasionally, Chaplain Pierce’s biggest supporter, his wife Alicia, will ask him if he might start his own church. Maybe someday. But for now, he’s content to serve right where he’s at. There’s work to be done, people to encourage, and a 100-mile ride calling his name.